By Alexis Filippini and Anne-Marie Morey, for the always fun and informative Vocabulogic by Susan Ebbers. 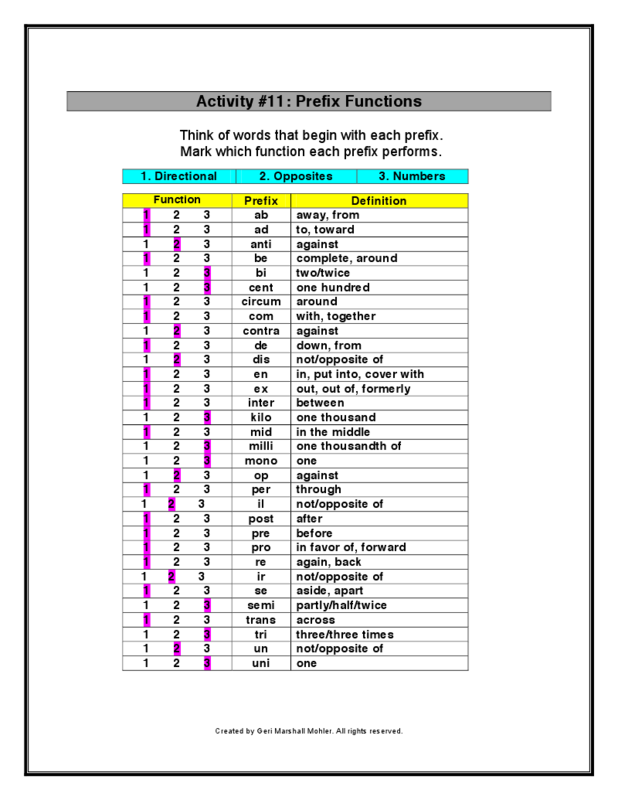 In my last Vocabulogic post, Phonemes and Morphemes for All, I wrote about vocabulary instruction for students with specific learning disabilities (SLD), such as dyslexia, that impact print processing. Today, Anne-Marie and I want to elaborate on my previous hints about using technology to support robust, Vocabulogic-style literacy instruction for these learners. To discuss assistive technology (AT) today, we must consider that we live in an entirely different context than twenty, ten, even five years ago. In the era of "new literacies,"many of our students (and most of us!) use computers, phones, smart boards, e-readers, etc. to access information on a regular basis. New literacies or 21st century information and communication skills are “the ability to use technology to develop 21st century content knowledge and skills in support of 21st century teaching and learning.” In the context of vocabulary, everyday technology offers multi-modal instructional opportunities to hit the major vocabulary principles (e.g., Blachowicz & Fisher’s big four: be active, personalized, immersive, and build multiple sources of knowledge through multiple exposures; 2000). This high-tech plus Vocabulogic-style instruction can capture the hearts and minds of children so much better than copying definitions – but the best part is, it’s more effective, particularly for learners who thrive with accommodations! For example, learners with SLD may have receptive and expressive language that is far stronger than their encoding and decoding skills and therefore require additional support (accommodations) to access new or old literacies. We commonly focus on remedial support but overlook assistive technology (AT) and alternate text formats. AT is any technology that can “increase, maintain, or improve functional capabilities of a child with disabilities” (Individuals with Disabilities Act Amendments, 2004). Alternative text formats are typically audio that is either a “natural” human voice or a synthesized voice (obviously braille as well, although less relevant to this conversation). These formats are available through commercial avenues, such as audible.com, or disability-specific avenues, such as bookshare.org, learningally.org, or the National Library Service. Simple software can turn any computer or gadget into a talking device to read aloud, as well. Effective use of technology to circumvent encoding or decoding is like using a wheelchair to confidently roll up a ramp and into a neighborhood public school, rather than being denied access. While the current reauthorization of IDEA requires consideration of AT for children with individualized educational plans (Blackhurst, 2005), “consideration” is often limited to checking a box. This lack of consideration may be due in part to uncertainty about how, when, and what to teach with these tools. One of the questions I am asked most often by teachers is when and how to adjust the remediation-accommodation balance (see illustration) for learners with print-related disabilities. (We could also learn a lot from work on augmentative and assistive technology use among individuals with significant communication needs, e.g., Soto & Zangari, 2009, but that is for another conversation). Research in academic technology, new literacies, and AT is “fragmented” and “inconclusive” (Fitzgerald, Kourey, & Mitchem, 2008, p. 215) due to rapid changes in technology, perceived barriers to implementation, and assumptions about the very nature of literacy. Nevertheless, we have an obligation to open every door we can to support our students in accessing meaningful text independently. There is no other route; we know the importance of exposure to text for vocabulary growth. A number of tools are available to support children with SLD in accessing grade level content, such as text-to-speech software and devices and “books on tape” (usually digital files, now), and simple low-tech options such as pencil grips. Many common AT tools for literacy like speech-recognition software and spell checkers come pre-packaged with common software (e.g., Microsoft; McKenna & Walpole, 2007). To be effective tools for increasing learning and independence, however, all technology must rest on thoughtful, evidence-based teaching. This means that rather than being bogged down by decoding: 1) She is building skills and confidence by working independently; 2) She is receiving multiple exposures to morphology, meaning, and word analysis. Far more than she would be in the same amount of time. 3) Odds are that she is more on task, because she is not avoiding work that seems impossibly difficult. This improves the classroom climate for all students, as the teacher focuses on teaching literacy rather than redirecting challenging behavior. Let’s consider an adolescent learner who is reading at a late elementary grade level. He is not encountering enough morphologically complex (“big”) words on his own to practice, despite receiving high quality explicit instruction. But imagine if this student is reading with his ears as well as his eyes. That is, he is listening to text read aloud or produced through speech synthesis, while following along with printed material. When he encounters a new, or semi-familiar word, he can go straight to morphological analysis/word study, rather than sounding out the word. While he may not be as adept at picking out visual cues (Bellomo) as stronger decoders, the visual display coupled with the audio together can be enough support for him to generate meaningful hypotheses about new words. From there, the teacher can explicitly guide him through verifying or modifying the hypotheses, looking up the word, doing word sums (Bowers), concept maps (Bear) or other explicit teaching. Thus, this “struggling reader” is first of all, reading , and therefore encountering new words and old friends. That is, he is reading if we can let go of the notion that reading must happen with the eyes exclusively. Second, whether the content is literature, science, or superheroes, the teacher now has far more flexibility and range to explore the meaning of complex words, and therefore complex ideas. For example, she could pull ideas from Dr. Bear’s post on concept sorts or Dr. Castek’s post on creative Web 2.0 vocabulary and integrate them with AT. But wait, shouldn’t this child be learning to read independently? Let’s return to the remediation-compensation equation (Edyburn, 2006). Consider the idea that it is not a zero sum equation. Rather, when students access grade-level content (including E/LA) through audio, and receive explicit instruction with engaging vocabulary principles that include morphological awareness and word study, remediation is happening. We don’t need to wait until a child can decode multisyllabic text to instruct meaning. In fact, if we wait, they may never get there. Each year they encounter fewer and fewer words relative to their peers, and the Matthew Effect we see in early decoding become an even larger disparity in access to information in the later grades. See Dr. Goodin's post on how librarians help address the Matthew Effect and diminished motivation for reading. The research offers little guidance on when to introduce AT, but teachers know when their vocabulary instruction is limited by the decoding level of their students. Consider this "test""
As soon as a student begins to lose access to age appropriate content and grade-level vocabulary, it is time to introduce alternatives to provide access to content in addition to teaching reading skills. Want more? Watch this YouTube video to learn how to enable an accessibility feature called "Text to Speech" on a Mac computer. When Text to Speech is enabled, the Mac will read the website or the documents aloud. For more technology tools, click here - [will be updated again 2018]. Blachowicz, C. L., & Fisher, P. J. (2000). Vocabulary instruction. In M. L. Kamil, P. B. Mosenthal, P. D. Pearson, & R. Barr (Eds. ), Handbook of Reading Research, Vol. III (pp. 503-523). Mahwah, NJ: Erlbaum. Blackhurst, A. E. (2005). Perspectives on applications of technology in the field of learning disabilities.Learning Disability Quarterly, 28, 135-178. Edyburn, D.L. (2006). Assistive technology and mild disabilities. Special Education Technology Practice, 8(4), 18-28. Fitzgerald, G.E. Kourey, K. A., & Mitchem, K. (2008). Research on computer-mediated instruction for students with high incidence disabilities. Journal of Research on Computing in Education, 38(2), 201-233. Soto, G. & Zangari, C. (2009). Practically Speaking: Language, Literacy and Academic Development of Students with AAC Needs. Baltimore, MD: Paul Brookes Publishing Co.